Location: Oakland, CA Artist: uter. Charles Mob Photographer: Graff Hunter. Big M stands for Maska! Location: 26th St in Oakland, Ca Artist: Maska. ASE. Meck. Uter. Charles. Photographer: West by Midwest. Location: In the Richmond District in San Francisco, CA Artist: Uter. Charles. Dvote. Shane. Kalau. Maska. A whale of a commute. Location: 7th St by Bart Station in West Oakland, Ca Artist: Meck. 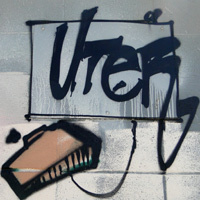 Uter. Charles Crew. Photographer: Graff Hunter. Location: Shattack in Berkeley, CA in the SF Bay Area Artist: Uter, Charles. Elsie. Photographer: Graff Hunter. Location: West Oakland, CA Artist: Uter. Parm. Location: Oakland, CA Artist: Uter. Charles Photographer: Graff Hunter. Location: San Francisco North Bay Artist: Uter. Charles Collective. Photographer: Nite Owl.